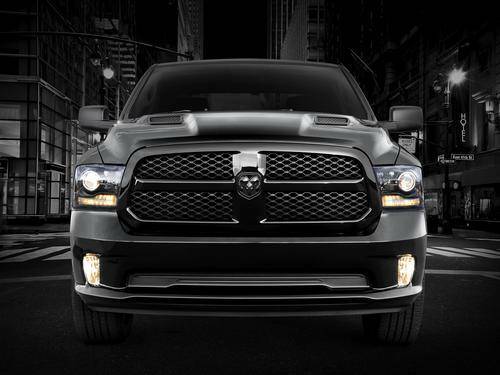 If you want to look dangerous when you are behind the wheel, the people at Ram are making it easy for you. The Black Package, which was successfully brought to market on the 1500-level pickups, is now available for the 2500 and 3500 level vehicles. The reason: customer response was overwhelming for the initial vehicles. People asked for it, now they can get it with the substantial tow and haul capacity of the heavy duty models. 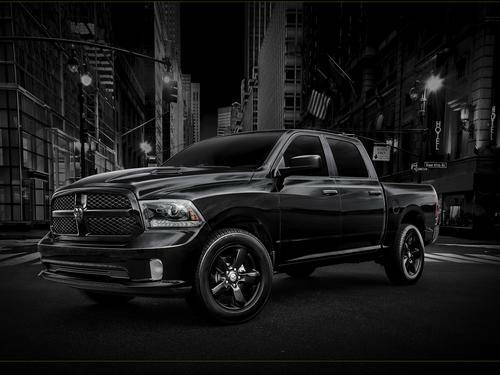 The 2014 Ram Heavy Duty Black Package has an all-black exterior look that includes 20-inch black aluminum wheels, fog lamps, black grille surround with black horizontgal inserts that dileanate the two trim levels. Body color front and rear bumpers and head badges on the grille and tailgate complete the look. Dramatic and menacing with custom-truck appeal. 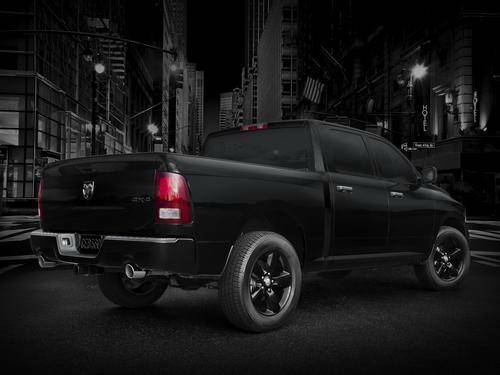 The only exception to the all-black appearance is the Cummins Diesel badging on any heavy duty with the Cummins engine. The performance and capability package that made this the Heavy Duty Truck of Texas is all there. This includes best-in-class power in both gas and diesel versions. Available power plants include the all-new 6.4L Hemi V8 with 410hp and 429lb.-ft. of torque; the 5.7L Hemi V8 and the highly respected 6.7L Cummins Turbo Diesel I-6 with boasts 385hp, 850 lb.-ft. of torque and tow capacity of 30,000 lbs. Configurations available are 2500 and 3500 Single Rear Wheel, Crew Cab and Mega Cab in either Big Horn/Lone Star and Laramie models with two or four wheel drive. There is an available factory-installed 5th wheel/gooseneck trailer prep package. Other features include cargo-view camera, premium bi-functional halogen projector headlamps with black bezels, 15 amber LEDs for park/turn/position lamp and three amber LEDs for side markers, and taillamps in black with 15 red LEDs with three red LEDs for side markers. I suspect that this is an edition that must be ordered from the factory, even though everything is standard. Ram dealers, I know, are accepting orders for the Ram Heavy Duty Black Package vehicles with a starting price of $42,140 plus destination charges.